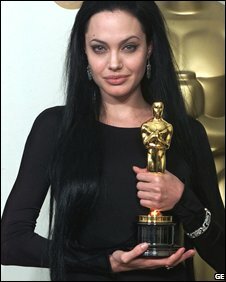 I've never been a huge fan of her, but don't you think the photo of her with an Oscar in this BBC News article makes her look really rough? The horrific treatment of Baby P has been plastered all over the newspapers (and the web) for the last week or so. It's tragic, but no one would know/care about the situation if it weren't for the media. It turns out that an average of four children die each week in England in a system that offers "patently inadequate" standards of care in the networks of schools, care workers and children's homes established to protect them, according to Ofsted. It's odd how people only care about things when they turn up on the front page of the leading newspapers. It's rubbish. I love(d) Spooks, especially the second season; but the first episode of the new season wasn't great, and the second was painful to watch. Thankfully, to save me writing up the errors, The Register have published something for me. I haven't even watched the third episode yet, it's been recorded by Vista's Media Center as I told it to record all of Spooks on BBC Three, but unless things pick up there's an equal chance that I'll cancel the series setting. It's almost like the writers have taken lessons from Spooks: Code 9 (which was crap). I miss the good old days with Tom in charge.